Do you delight in all things wicked? 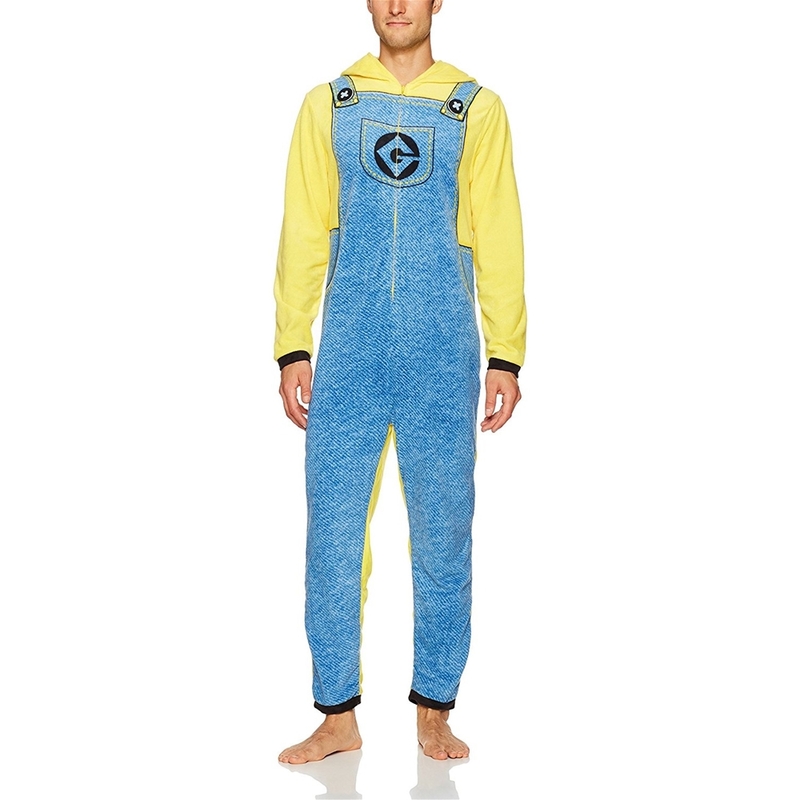 Become part of the Minion army with this Minion Man Adult Mens Onesie. Modeled after the loveable characters from Despicable Me and Minions, this lightweight adult onesie is made of 100% polyester. It features long sleeves, black cuffs, a front zipper closure, and an attached hood. Just like a Minion, the yellow onesie is detailed with a printed image of blue overalls on the front, an all yellow backside, and an image of a single eye with a gray goggle on the hood. 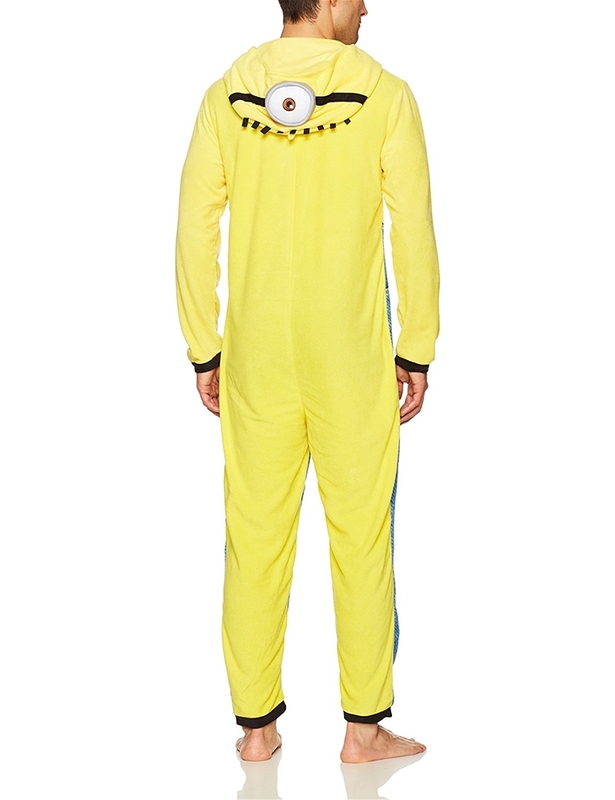 Terrific for lounge or sleepwear, this Minion adult onesie makes an easy costume for Halloween or a fun gift for fans of Despicable Me and Minions.